A poorly prepared, uninformative presentation to an initially receptive audience will vaporize your credibility more quickly than the sun evaporates a single raindrop before it can strike the Arizona desert. Does that mean there’s only one way to botch a potentially eye-opening lecture? On the contrary, padding your talk with an absurd volume of disposable minutiae and visual razzle-dazzle will slowly grind your assembled crowd’s collective patience into submission as they desperately attempt to glean your actual intended takeaway from mountains of showy padding. There are a few proven ‘right’ ways to structure any presentation. There are enough ‘wrong’ moves for communication failure to require virtually no effort at all. Here are the surest ways to guarantee your next invitation to chat with an audience ends up being your last. Memorizing every word of your talk and timing it down to one-hundredth of a second doesn’t remotely guarantee you should actually consider yourself wholly versed in the subject at hand. Sooner or later, someone will lob a question from deep in left field. When that happens, your performance will erase any and all doubt as to whether your slick PowerPoint display is an attractive outline of keywords and bullet-point phrases compiled to hold your audience’s focus or the only thing keeping you afloat while you fake your way through a carefully rehearsed and empty-headed diatribe. Educate yourself until unshakably confident any unexpected, abstract query will roll off you like water off a duck’s back. On the other hand, try not to fall prey to the assumption that every factoid, statistic and concept is critical to an audience sharing your presumably encyclopedic comprehension of your topic. That line of thinking leads only to drowning your core message in ultimately useless information until nobody can actually follow what you wanted to get across in the first place. If you find yourself unable to explain a concept succinctly by expounding on only three or four key points, take that as evidence you don’t understand the material you’re discussing quite as clearly as you might have assumed. You might as well execute every step in delivering your talk under the assumption that any and every piece of electronic equipment whose cooperation you depend upon will wait for the least convenient possible moment to fail unexpectedly. The second you aren’t carrying a spare projector bulb, that’s when the current one will short out. The first time you throw caution to the wind and neglect to check the room’s lighting, expect to meet the world’s least-dependable dimmer switch. Already assuming all projectors are basically the same? Skimp on your technical checklist and decide to wing it with one the likes of which you have never used before but that your hosts swear ‘nobody else has ever had an issue with in the past.’ That never goes sideways. Like, ever. Unless you have explicitly advertised otherwise, rest assured your audience has arrived to hear a fascinating, entertaining lecture and not a detailed breakdown of hundreds of visual aids. Graphs, photos and photographs should accentuate your presentation’s content, not stand in for it. Most people can tolerate a focused discussion of 10 or 12 slides before their focus begins to erode. Even then, play it safe and linger only a short time on each frame. One of the safest ways to avoid the previous self-sabotaging habit: stop mistaking your ‘visual aids’ for crutches. If you don’t plan on exerting any more effort than narrating your slides verbatim, do your audience a favor and either email them or upload your PowerPoint presentation to SlideShare. After all, if that’s all you have to offer, who needs to sit through a lecture when everyone could just as easily skim your visual aids online when individual time allows and enjoy an identical informational benefit? Your slides should mark the passing of up to four bullet points each as accompanists to your material, not serve as an immediately present parallel substitute. The screen doesn’t care what you have to say. The audience does. Let’s just put the finest point possible on this: your audience is probably not stupid. If you skimped on insightful research in favor of stuffing your presentation with seemingly complicated graphs and dazzling photos, they will notice. You are in the business of cultivating and distributing substance. Charts and diagrams can and will strikingly emphasize a presentation’s vital pillars, but rarely make memorable points themselves. Used properly, they break up the monotony with refreshing stimuli. When abused, they became monotonous themselves and dilute that inimitable human connection a particularly compelling talk can establish between audience and lecturer. So, you read somewhere that a certain color or thematic motif had been proven by extensive research to evoke certain positive responses. Does that mean a certain design theme or template will be gangbusters regardless of your presentation’s focus, setting or audience? No. Absolutely not. One size does not fit all. An illustrative and colorful look might play well with an auditorium full of children, but eschew a straightforward layout for a corporate proposal in favor of something that looks like a detonated crayon box, and you may succeed only in convincing a room full of Ivy League-educated executives that you regard their intelligence as comparable to that of an average third-grader. On the subject of your aesthetic compass, play it safe with color combinations. The late legendary horror film director Wes Craven once divulged that he chose the specific shades of red and green for Freddy Krueger’s signature sweater in ‘A Nightmare on Elm Street’ based on a magazine article that noted their particularly unsettling effect on the human mind when viewed side-by-side. Do not treat your presentation like a ‘Nightmare’ sequel. In actuality, red and green pairings cannot be differentiated by color-blind individuals. Textured or patterned backgrounds drown text, making it hard to read. Dark text pairs best with a light background and lightly colored text (ideally, off-white or light beige) reads well against a dark backdrop. Whatever scheme you choose, keep it consistent. At the risk of flogging what has become a memetic hatred for Comic Sans, be mindful that the wrong typeface can speak volumes in all the wrong ways to how you regard your subject. Just as important as not coming off like the work of an amateur presenter, a tiny script-type font is frustratingly illegible to an attendee situated 200 feet away from your screen. You will most likely never need more than two different fonts for the headings and content of your slides, and Times New Roman or Arial in no less than 30-point type are especially faultless choices for any occasion. In all likelihood, no presentation you ever give will unconditionally require or even call for the vast majority of neat transitional sound effects and animations you discovered. Your flair for the dramatic is admirable. It also disorients the audience and fails to guide their eyes to a single place. If you cannot resist the sizzle, perhaps you should think twice about the quality of your steak. Use these effects sparingly to heighten interest or jazz up a key reveal, but let ‘less’ be ‘more.’ That way, your animations always feel special and impactful when they do show up. It is dangerously easy to let the thrill of an enraptured audience sweep away your restraint while you ‘go all out’ to leave behind a memorable impression. That’s the problem, though: being thought of as the oblivious guest speaker who tried thousands of times too hard to impress everyone is also a lasting stigma. If some of these examples set your squirming in your seat, take comfort that an instant of self-awareness can itself become a catalyst for change. Nothing beats knowing your stuff and displaying a penchant for milking maximum creativity from as few tools as possible. I read this and thought it might be something for you. 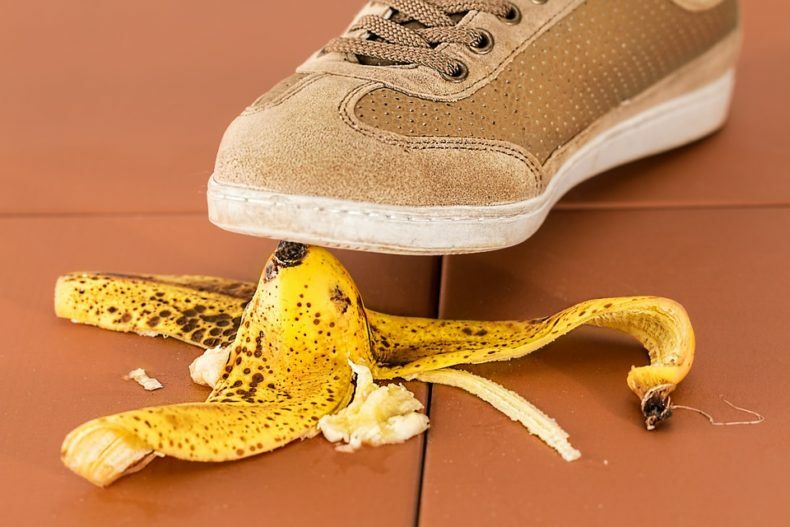 The post is called Top 10 Presentation Mistakes You Should Avoid At All Costs and is located at https://motivationalspeaker.biz/top-10-presentation-mistakes-avoid-costs/.